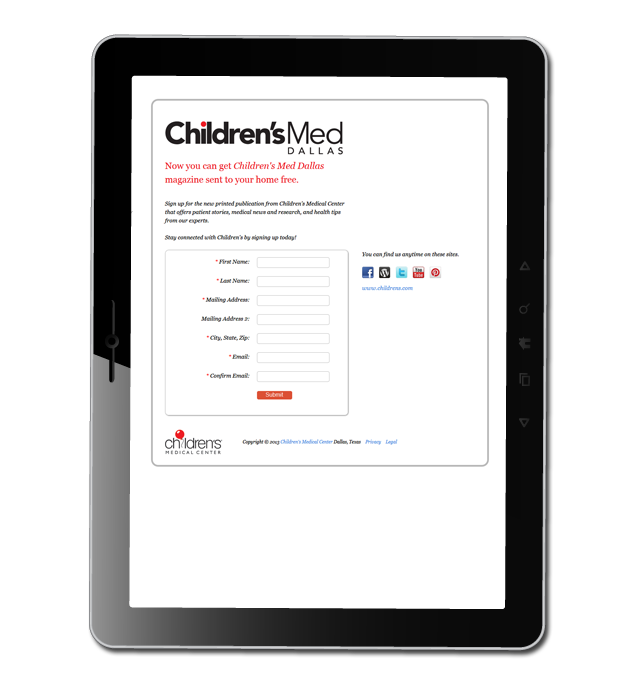 This subscription form was designed to for people to subscribe to Children’s Med Dallas the magazine. In addition to gathering subscription information, the form promotes the hospital’s social media and web site. Within one week of promoting this form, more than 200 subscription requests were captured.